David Platt is denouncing faith healing as the primary Christian ministry, arguing human beings’ “ultimate” need is spiritual — not physical. 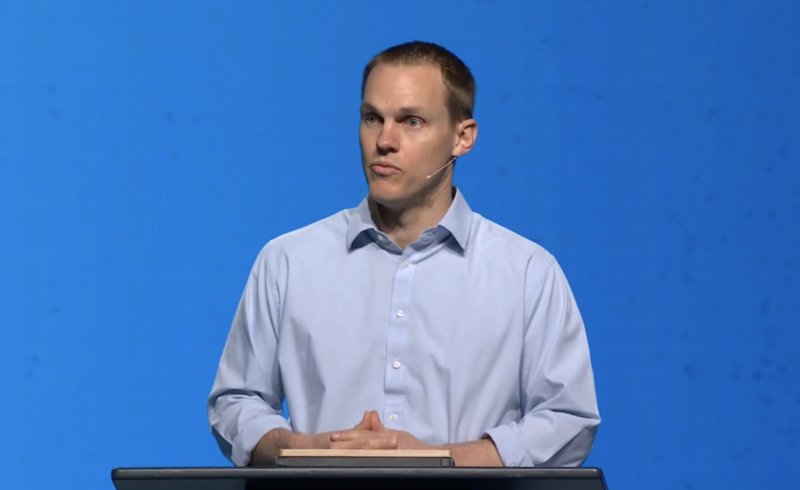 Platt, lead teaching pastor at McLean Bible Church in Virginia, made his case Wednesday while speaking at The Gospel Coalition’s annual conference in Indianapolis. He centered his message on Mark 2:1-12. In the New Testament passage, it’s recorded Jesus healed a paralytic man who was lowered into a home from the roof. While the story highlights “two urgent needs,” Platt said, the concerns are not equal. The former International Mission Board president described faith healing purely for healing’s sake as a “false gospel,” but one he’s nevertheless heard preached around the world. “Our ultimate need is not to be rid of our maladies, but to be reconciled to our maker and this is what Jesus has come to do,” he contended. That doesn’t, however, mean believers shouldn’t prioritize the care of those in our communities who have physical needs to be met. The Virginia minister shared an antidote of his own, recalling a woman from his own church named Marisa, who was recently baptized. Suffering with cerebral palsy, Marisa is bound to a motorized wheelchair. Every Sunday, Platt shared, she rolls straight down the middle aisle and stops right in front of him, where she listens to him preach. Marisa, before she came to McLean Bible Church, was used to being isolated, in a corner all alone. She had attended churches whose leaders “had not thought through how to care for children or adults with special needs,” according to Platt. While physical healing is not — or shouldn’t be — our primary concern, it still is one of God’s promises to us. Platt encouraged those attending the conference in Indianapolis that the Gospel removes every trace of sin from our lives, and as a result, physical healing will ultimately follow.